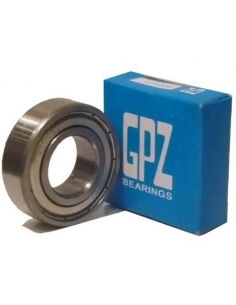 Ball bearing 6300-ZZ dimensions 10x35x11mm. With two metal closure caps (ZZ). Brand FAG. 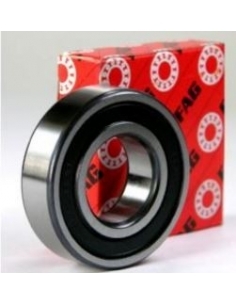 Ball bearing 6300-2RS, dimensions 10x35x11mm. With two sealing covers for the closure, covered with rubber (2RS). Brand FAG. 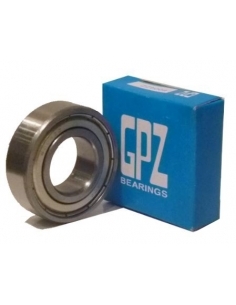 Ball bearing 6301-ZZ dimensions 12x37x12mm. With two metal closure caps (ZZ). Brand FAG. 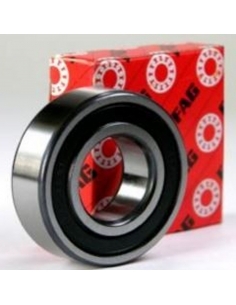 Ball bearing 6301-2RS, dimensions 12x37x12mm. With two sealing covers for the closure, covered with rubber (2RS). Brand FAG. Ball bearing 6302-ZZ dimensions 15x42x13mm. With two metal closure caps (ZZ). Brand FAG. Ball bearing 6302-2RS, dimensions 15x42x13mm. With two sealing covers for the closure, covered with rubber (2RS). Brand FAG. 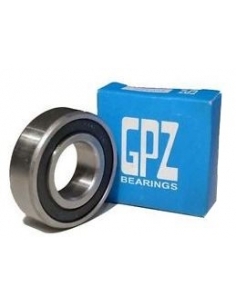 Ball bearing 6303-ZZ dimensions 17x47x14mm. With two metal closure caps (ZZ). Brand FAG.